Most industry vets will tell you that music publishing is a very confusing subject. It is something more musicians need to learn about because it is an amazing money maker. 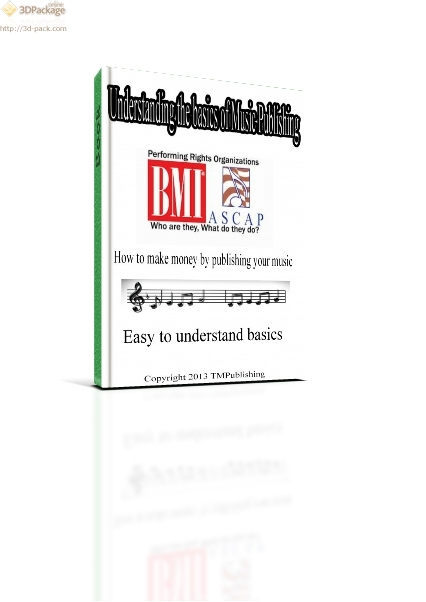 TMPublishing has released an E-Book titled "Understanding Music Publishing", that gives you the basics of music publishing so you can get an understanding of it. It even includes a sample publishing contracts. It is to the point, and gives readers a chance to educate themselves. You can get the book at www.musicpublishingonline.com. You can read it on your computer with a PDF reader, or your iPad, iPod, and Kindle devices. Check it out today.